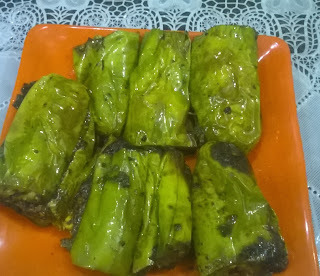 Baigan Bharwa (kaloungi) is a delicious dish from Uttar Pradesh. In this dish brinjals are stuffed with a combination of roasted spices along with onions and garlic. Onion and Garlic is just optional ingredient to add in masalas of bharwa. Brinjal are three types of colour, You can use any type of brinjal like green, white or black. Method- ·Wash and pat dry the baingan(brinjal). Make a slit taking care not to cut them apart. 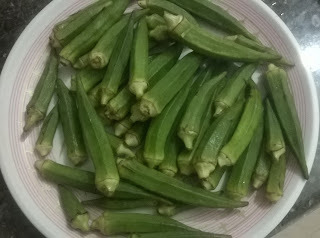 Today recipe is Bhindi or Okra do Pyaja. Do pyaza denote presence of double the quantity of onions than found in any other style of preparation Bhindi (Okra) Do Pyaza is a home style comforting vegetables that can be cooked in minutes and makes an ideal dish to cook. It’s very easy to make recipe you can prepare when you are in a hurry. You can enjoy with bhindi do pyaja with chapatti or triangle paratha, and also enjoy with dal and plain rice its very ideal side dish. I always prefer to serve with dal and Plain rice. Lets enjoy how to make Bhindi Do Pyaza recipe.